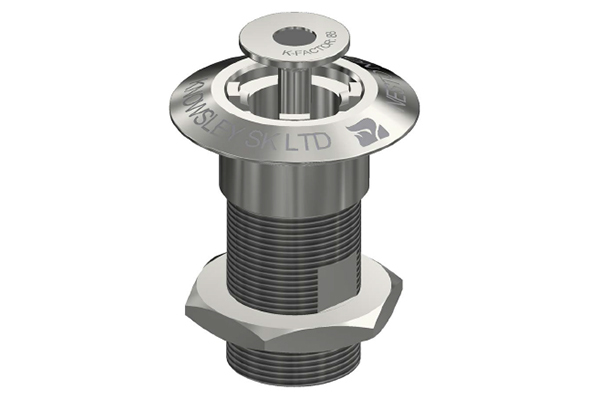 A DIFFS is typically utilised on the deck of a helipad, or in a concrete ﬂoor for aircraft hangar applications. 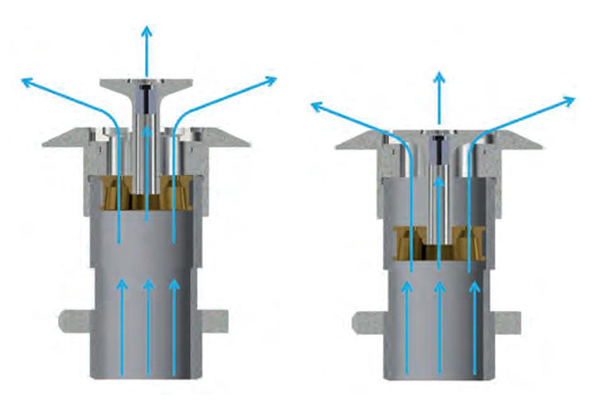 DIFFS Nozzles are typically integrated into the ﬂoor area. When not in use, these nozzles are ﬂush with the surface. 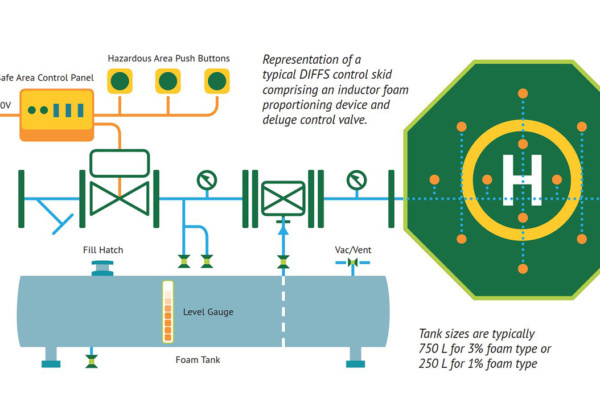 Once the system is activated they pop-up to simultaneously disburse foam in a 360 degree pattern covering the entire deck area within seconds ensuring rapid extinguishment. As the nozzles are ﬁxed devices there is no manual adjustment required during an incident making them the preferred option in automatic systems or where remote activation is required. 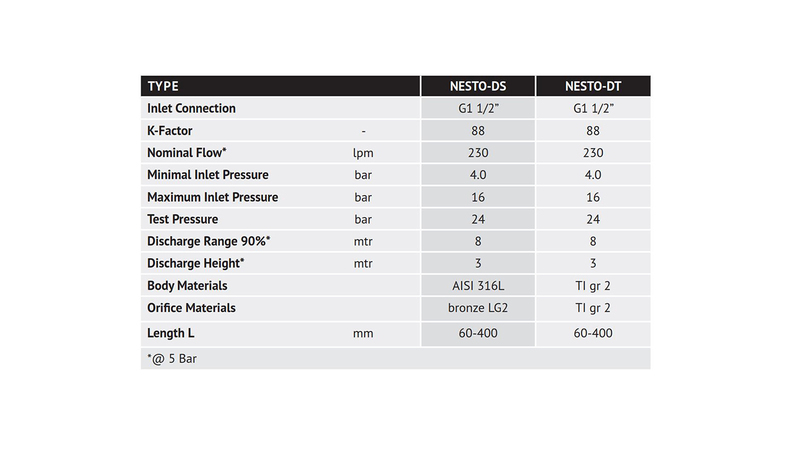 Nesto deck integrated fire fighting system (DIFFS) is turnkey solution for extinguishing fires which can occur on helipads, helidecks, or in a concrete ﬂoor for aircraft hangar applications. The installation of the NESTOTM DIFFS system must comply with international regulatory standards, the CAP 437 and ICAO Annex 14, Vol.1 standards are applicable to the system. Contact us for the design and installation manual. Nozzle is integrated within the helideck. 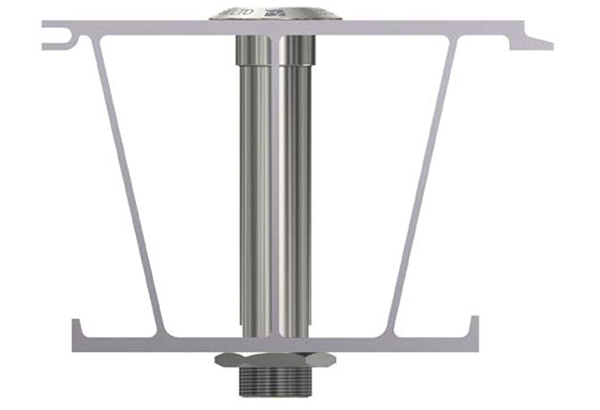 It has an adjustable length (L, see table above) to accommodate the helideck design. 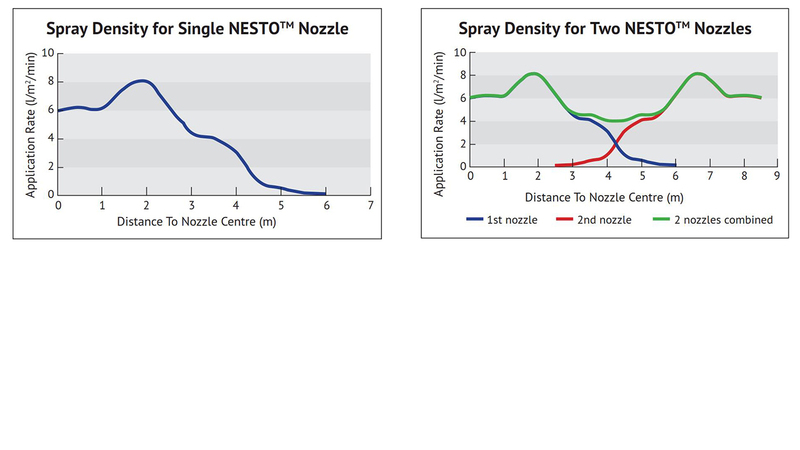 The NESTO nozzle is designed to ensure full discharge even when the pop-up function is obstructed or blocked by the helicopter or safety net. This means the full application rate is always delivered. 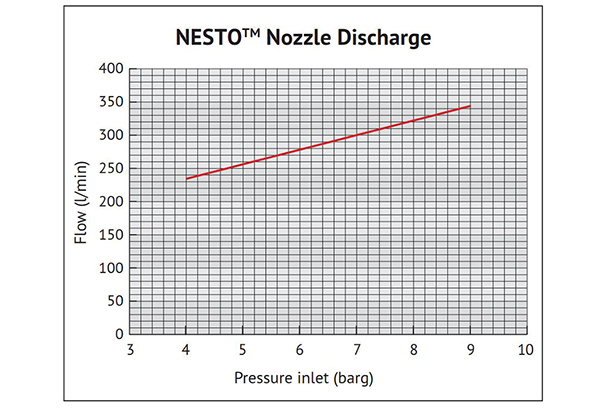 Flow rate of each nozzle will depented on the inlet pressure, as shown on graph. 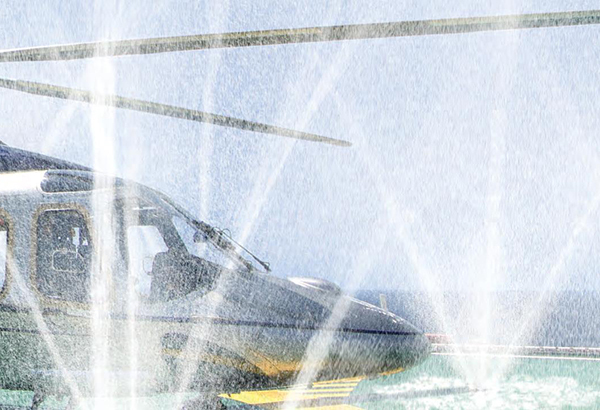 Each deck integrated nozzle will spray upwards in a semi sphere shape covering both the deck and the helicopter. 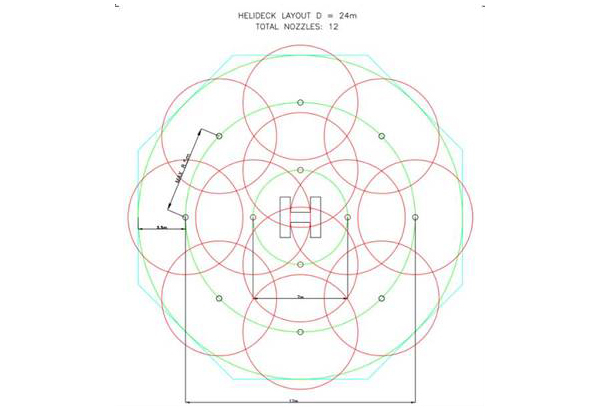 To achieve the required the application rate on the helideck multiple nozzles will need to be positioned with a specific overlap as per below graph.